To reset your password, click the Forgot Password link at the bottom of the log-in screen. 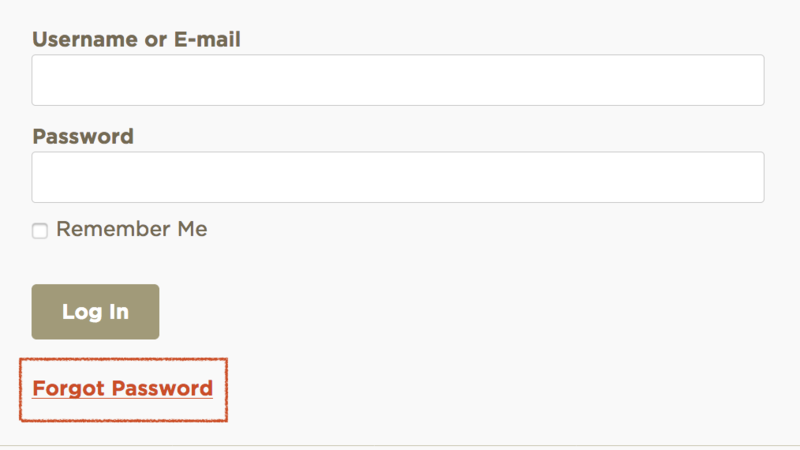 Enter your email address when prompted, and you will receive an email with instructions on how to reset your password. You may be typing in the correct password but the caps lock button on your keyboard is engaged. Make sure you're not accidentally typing your password in ALL CAPS. Clearing your browser's cache is like hitting the reset button and often solves many seemingly mysterious problems. Clear your cache and try logging in again. For instructions on how to clear the cache for your specific browser, please visit this website. If none of these seem to be the case, please submit a Support Request so we can help you log back in!